While I don't follow social media often, even a quick check reveals the vast forum of exaggerated ego and business-directed self-promotion. Some tennis coaches participate in this and other methods of hype and it’s so bad that I sometimes feel like I live in a "Look at Me" world of hyperbole that borders on the propaganda technique of the "Big Lie." How do you really know that your coach has the proper credentials or could it be he snapped a picture of himself with the player who won the tournament and posted "congratulations" so that it's inferred that he's the coach? Many coaches refer to the quality of the players that they have instructed, and superficially, this seems to be a reliable indication of success. But look further and consider: If I told you that I had been the longtime coach of the 98th, 99th and 100th ranked players in the world without a context to evaluate this achievement, it's impressive. But let's say I told you their names are Roger Federer, Rafael Nadal and Novak Djokovic. With the omniscience of history, we know that these are the three best players in the world and perhaps of all-time, but under my guidance, I descended these players from greatness to mediocrity. A little less impressive? How about looking at the numbers of top students someone has coached? Perhaps of value or maybe not? A "great" developer of talent may be "great" at marketing to top players and not developing top players. Maybe they use the term "coached" more generously than others. For some, "coached" may mean provided regular instruction and guidance for many years, but for others, "coached" refers to "I drilled you in a two-hour group one day." Some coaches may advertise that they have coached the most players in history, but maybe the most players in history also left them to go elsewhere. I have yet to see that promoted so: Caveat Emptor. 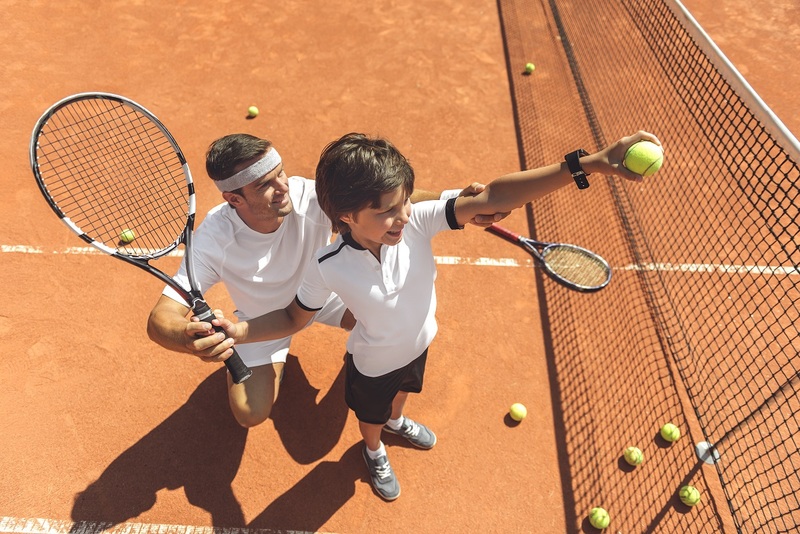 Over 35 years ago, I remember the first time I heard a fellow tennis coach refer to a lesson as a "client." I found this to be a startling choice of words because I had viewed lessons as "students." In reflection, it's clear that while some instructors see themselves as “service providers executing a business transaction,” I advise to look first and foremost for someone who identifies themselves as a teacher, coach and a mentor. In particular, the role of a mentor is vital because it serves as an opportunity to provide a lasting impression on a young person at a time in their lives when they are most receptive to positive role models. Instructors teach tennis; teachers teach students; and coaches and mentors teach, guide and reinforce skills, philosophies and values. They integrate the on-court and off-court worlds to find synergies and frame winning and losing to promote learning. In the next part of this article, I will talk about the value of these roles so that students can find a coach who fits their needs, goals and learning style. Often, junior players move from coach to coach throughout their playing days in search of the "Best Deal" and the path to easy gains and not much thought is given to long-term value. Junior tennis is a short-lived experience, but the skills and relationships that you build last a lifetime. One parting thought here … ask former students who have moved past their junior playing days about the experience they had with a particular coach. I have and I'm glad I did. I always valued my technical expertise, tactical insight and my ability to ascend a player to a higher level. Almost every former player however, including many ranked number ones in the country, recall how much I cared about them as the quality in me they valued the most.